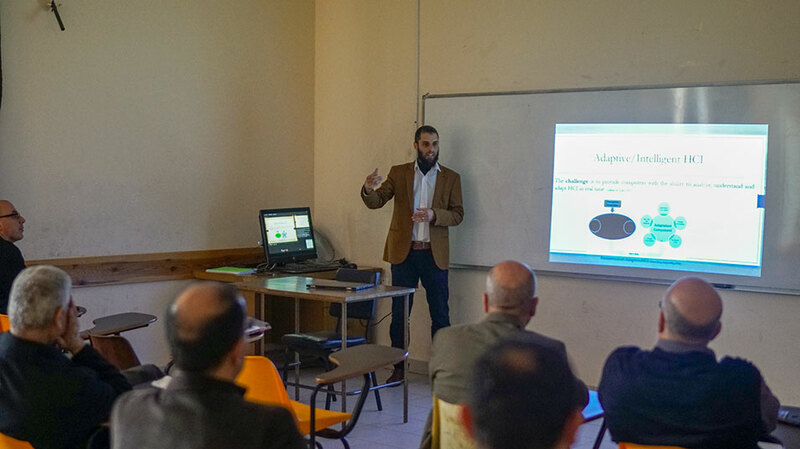 Anas Samara, a professor of electrical and computer engineering at Birzeit University, gave a public lecture on advancements in affective computing − the study and development of systems and devices that can recognize and react to human emotions − on Tuesday, March 12, 2019. Samara, who holds a Ph.D. in artificial intelligence and applications from Ulster University in the UK, discussed his research in human-computer interaction. 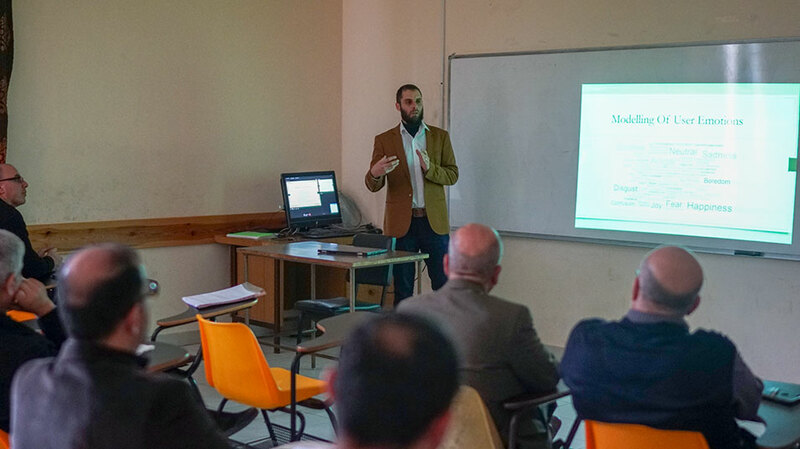 “Artificial emotional intelligence is an area of intense research focus due to the proliferation of internet-connected machines and devices,” Samara noted, emphasizing that such interactions should be consistent and improve usability and reachability. Samara explained that there are three approaches to human-computer interaction: physical, which focuses on the pure mechanics of interactions between users and devices; cognitive, which focuses on adapting the interaction to human behavior; and affective, which focuses on modeling the interaction to be receptive to human emotions. Affective computing, Samara said, relies on gauging the user’s emotions and reacting accordingly, which is achieved through a number of techniques such as reading users’ facial expressions, tracking their eye motion, analyzing their mouse movements and keyboard strokes, examining the content they view, or analyzing the physiological changes that occur to them by using electrocardiography (the measurement of electrical activity in the heart) or electroencephalography (the measurement of electrical activity in parts of the brain).